Forkserve supplies and fits all types of forklift attachments for all makes and models. This includes; jibs, rotators, safety cages, white goods clamp, double pallet handler, extra long tynes and more. Your forklift is a versatile and useful piece of heavy machinery. 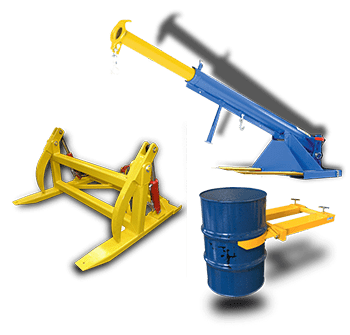 The right forklift attachments can help to ensure that you have everything you need to complete a variety of projects both large and small throughout Sydney. Double Pallet Handlers - Originally designed for brewing, bottling, warehouse, production or shipping industries, a double pallet handler is suitable for a broad range of projects. Whether you have a wider load to transport from point A to point B, or if you just need to maneuver tools and materials around your project site, this attachment can help. Extra Long Tynes - Maybe you have a load that isn't stable enough for the shorter tynes that traditionally come with forklift attachments. We offer attachments with extra-long tynes to give your load a little more stability. They also give you a greater degree of control when you move heavy or top-heavy objects. 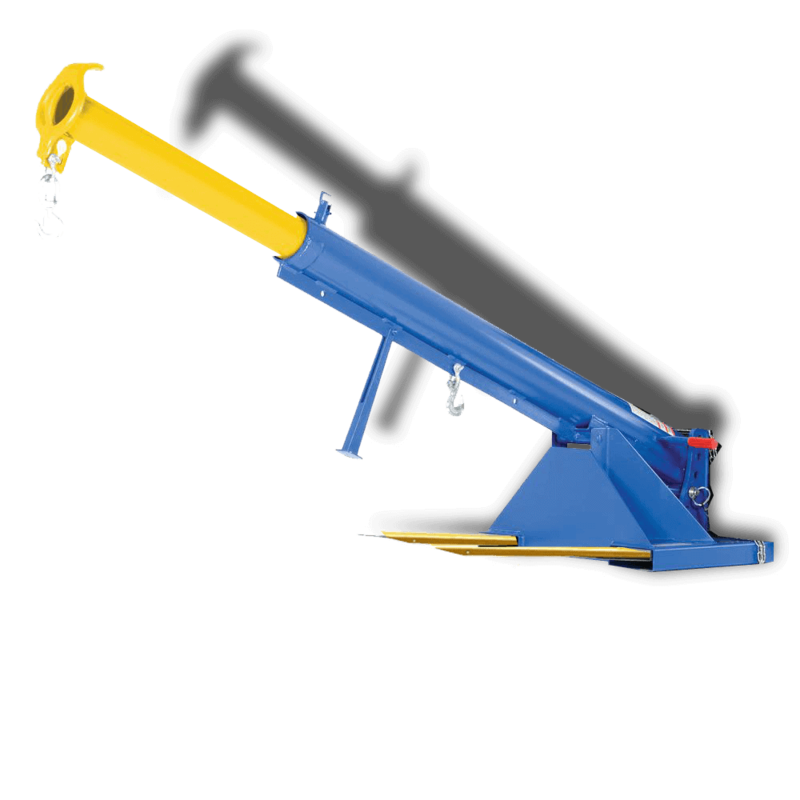 Jibs – A quality jib will turn your forklift from a lifting and hauling machine into one that also has a long enough reach to maneuver and place heavy loads over and under obstacles. We have several sizes on-hand, and we'll help you get a secure fit for your jib attachment. 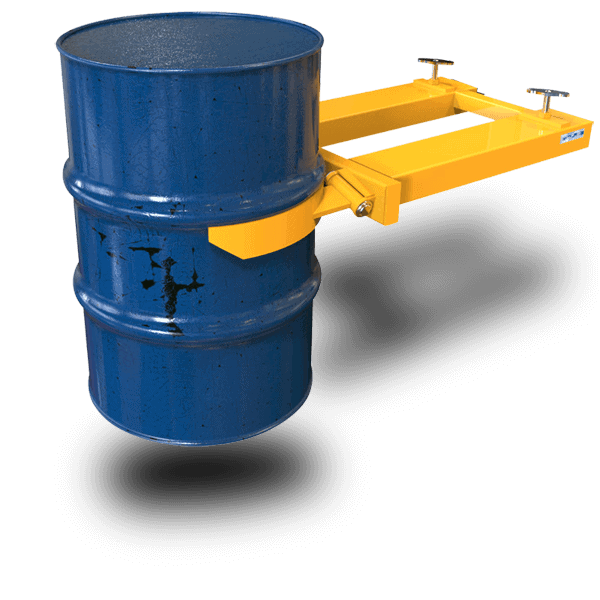 Rotators - A rotator gives your forklift a 360° revolving motion that allows you to invert or dump a load quickly and efficiently, and then immediately rotate the forks into a position to pick up a load. 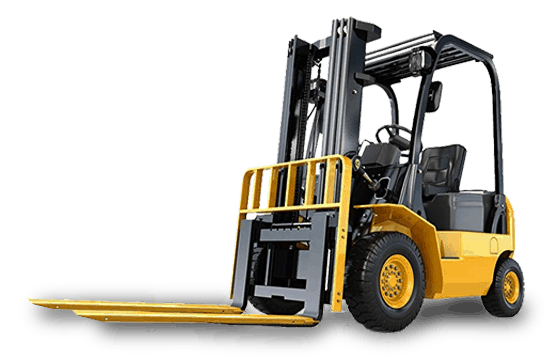 We'll find rotators to fit any make and model forklift you may have. Safety Cages - You want to keep yourself and your staff safe throughout your project in Sydney. A safety cage is an excellent way to keep any falling debris away from your forklift operator. We can tailor a safety cage to fit both large and small forklifts. Contact ForkServe for Quality Forklift Attachments in Sydney! No matter how big or small your forklift is, or whether you want a single attachment or multiple attachments, contact us. We’re ready to answer any questions you may have or help you find the best attachment to suit your project needs.